GeoTextile products such as GeoTextile tubes and bags can also be used in industries outside of the marine environment in the Caribbean and Central America. Animal wastes generated from farm operations using cattle, swine and poultry are faced with disposal of large quantities of waste. Disposal is expensive and farm owners are faced many regulations protecting the environmental regulations regarding disposal. Caribbean GeoTextiles'Hurricane Storm Protection products are an environmentaly smart solution to reducing sludge volumes and assisting with odor control. 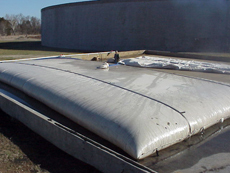 Call us today to learn how our GeoTextile products can help with your disposal problems in the Caribbean. SDMI dba Caribbean GeoTextiles products can ship to Trinidad and Tobago, the Virgin Islands, Bahamas, Aruba, Puerto Rico, Martinique, Bermuda, Cayman Islands, Dominican Republic, Guadeloupe, St. Lucia and other Caribbean countries.